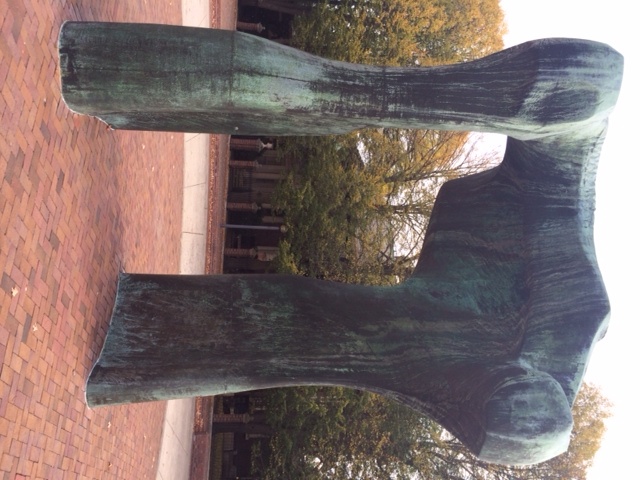 Imagine standing in front of the First Christian Church designed by Eliel Saarinen (read our first Columbus, Indiana, blog), then turn around, literally, and right in front of you is Henry Moore’s Large Arch positioned in the foreground of the I.M. Pei designed Cleo Rogers Memorial Library. Henry Moore was 73 when he created Large Arch. I.M. Pei suggested that Moore create an abstract and organic sculpture that would provide a contrast to the geometric forms of the buildings surrounding it. Locals say that Pei and Moore wanted a sculpture that two people could walk through but not large enough for a car to drive through. Its sits on the Library Plaza, directly in front of a Pei designed building, the Cleo Rogers Memorial Library. 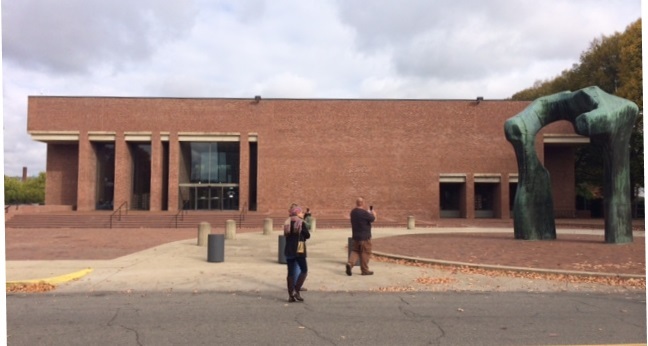 Built in 1969, the Cleo Rogers Memorial Library is an open concept building with its pure geometric form and clean lines. Brick was used as the primary material of the building with limestone and concrete used for distinctive design elements. 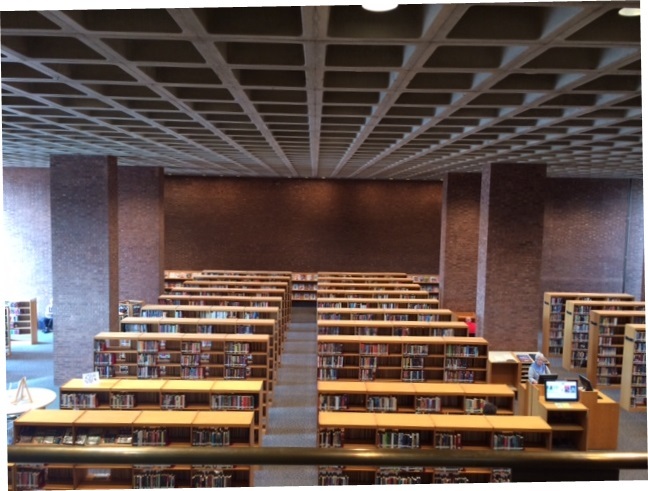 When inside the library, the view of the ceiling with the rows of the library shelves gives you an appreciation of the simple, but unique look. The ceiling is a coffered concrete grid with deep inset square elements. In our next posting, see what you find when you walk down the street and around the block.